Welcome to McKee McGrodo Golf Club! Featuring different tee's for different skill levels, from ProTee to Extreme. 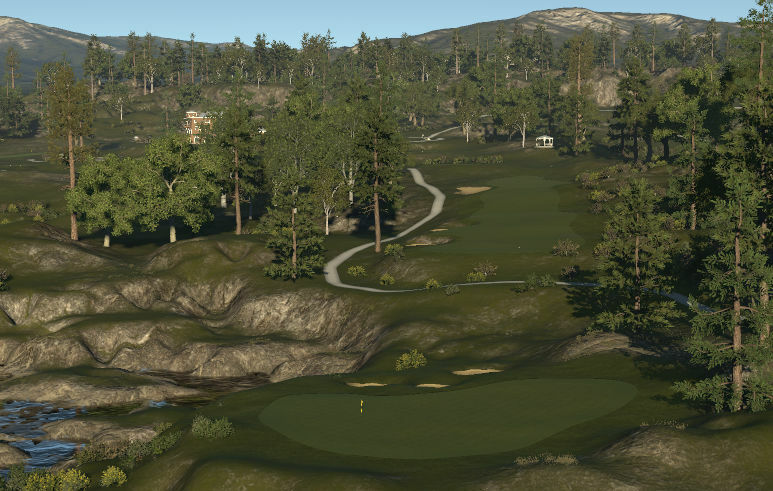 This Highlands course hugs the Norwegian Coastline. The greens are fast but receptive. The fairways are firm and thought may be needed to obtain them. The greens are of links style, very wavy, most of them are large. I don't want to take the time for all the compliments I could rain down on this course. Incredible in every way. Artistic perfection. Outstanding challenge. Brilliantly designed fairways and obstacle placement. Greens are an absolute bear, you'll come to cherish any birdie your able to scrape out. Any putt longer than 5 feet is gonna be tough to whole out. The greens have more wiggles and curves than a fat chick. I can only imagine how tough this MF'r would be if the winds were howling. Great course in every imaginable sense. This course is worthy to host any event of any level of importance. 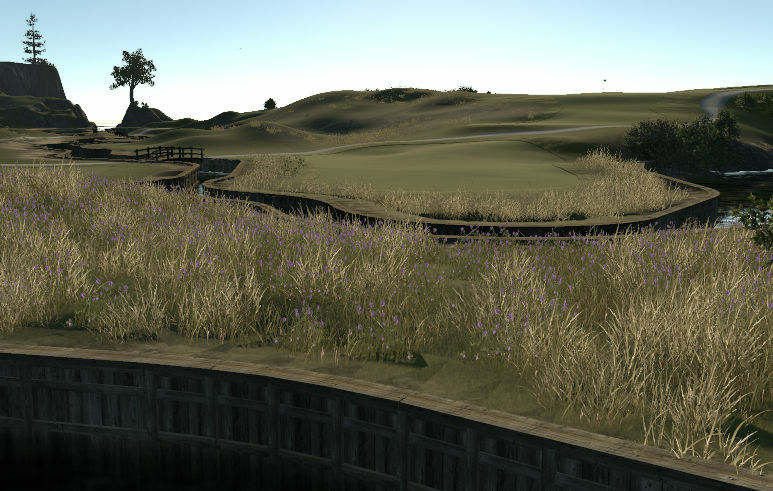 I had just played Biggins' highland submission, and with all due respect, this course blew it away, which all should know is extremely high praise. Best front nine in the game. Holy tastey this course just made me stop and look around at everything on almost every hole. Very impressive everyone needs to play it. This is one impressive piece of property. The view is so expansive on some holes that I actually ran into some occassional lag on the PS4. The sculpting is great, as expected, and the fairways twist and turn between pot bunkers and various other hazards. Add in a good amount of elevation change, and you may miss your fair share of fairways if you choose to hit driver off of every tee. The greens are quite receptive, though, and give you an opportunity for recovery should you miss the fairway. 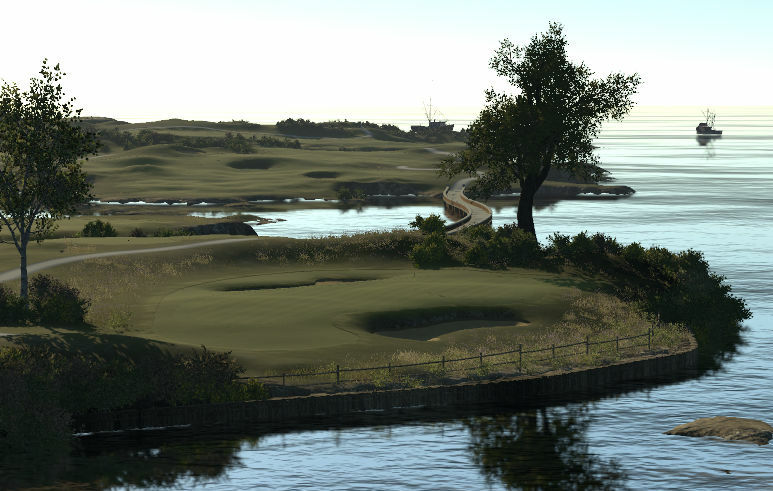 Despite some of the great views, I still think Harbor Island has more memorable hole designs, so I still give that one a slight nod over McKee McGrodo, but both are well worth a play.